Many projects are under way to create or derive computational models of biological processes, using one or more biomedical ontologies or other biomedical knowledge resources as a basis for the model structure. One such project, which we have started, is to model the local/regional spread of tumor cells (metastasis) so that an accurate target for radiation therapy can be defined. This approach uses the structure of the lymphatic system as defined in the UW Foundational Model of Anatomy (FMA) to produce a tumor dissemination model for any specific anatomic site where the primary tumor may be located. Such models are tedious to build manually and are prone to errors in transcription of the structures. We plan to further develop this approach to modeling tumor dissemination as a case study for developing automated methods to generate dynamic models from biomedical ontologies. The project will use Category Theory, a mathematical formalism that is just now finding application to ontological modeling, as a way to facilitate the mapping from an ontology to a model. We will apply the formalism to the FMA/tumor dissemination problem as a proof of concept. The specific medical problem we are addressing has the potential to significantly increase the accuracy of radiation therapy target volume definition. This is a critical step in more fully utilizing the power of modern computer controlled radiation therapy treatment machinery and techniques. The general methods may help researchers to generate new models, insure that such models are consistent, and also possibly aid in identifying any inconsistencies in the biomedical ontologies themselves. The term “haplotype” for the multilocus combination of alleles on a chromosome was introduced by Ceppellini et al. during early research on the major histocompatibility complex. genetic variation is nor rare but, on the contrary, almost every protein has genetic variations [5,6]. All genetic variation is caused by mutations, of which there are many different types. The most common and most useful for many purposes are the SNPs, which can be detected by DNA sequencing and other recently developed methods, such as denaturing high performance liquid chromatography , mass spectrometry  and array-based resequencing . Would you Want to Find out About …? This week’s Health Check is a special programme about living with genetic disorders. Speaking to contributors to the book The Story Within, Claudia discusses the impossibly difficult decisions that arise – whether, when and how to intervene and whether and how best to involve family members – and how life can be irrevocably changed by the discovery of a family history of genetic mutation. To guide Claudia through the issues raised and examine the extraordinary advances being made in genetics, she is joined by Sir John Burn. He is professor of Clinical Genetics at Newcastle University and a world authority on genetics. Life is a sexually transmitted, ultimately fatal disorder. Sci Transl Med. 2013 Jun 12;5(189):189sr4. McCarthy JJ1, McLeod HL, Ginsburg GS. next-generation sequencing in cancer pharmacogenomics, in the diagnosis of rare disorders, and in the tracking of infectious disease outbreaks. the role of the host microbiome, … the repurposing of drugs. challenges include the difficulty in establishing clinical validity and utility of tests, … addressing the ethical aspects of genomics for patients and society. 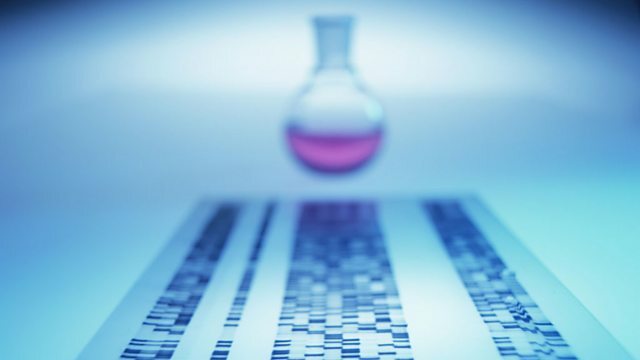 Data from the 1000 Genomes Project have confirmed previous estimates of the population frequency of germline [common] variants to be about 1 in every 1000 of the 3.2 billion nucleotide positions, giving rise to about 3 million [common] variants in the human genome (6). The challenge lies in figuring out the meaning of variants that occur in the vast remaining noncoding regions of the genome, the so-called dark matter, whose function is largely unknown.